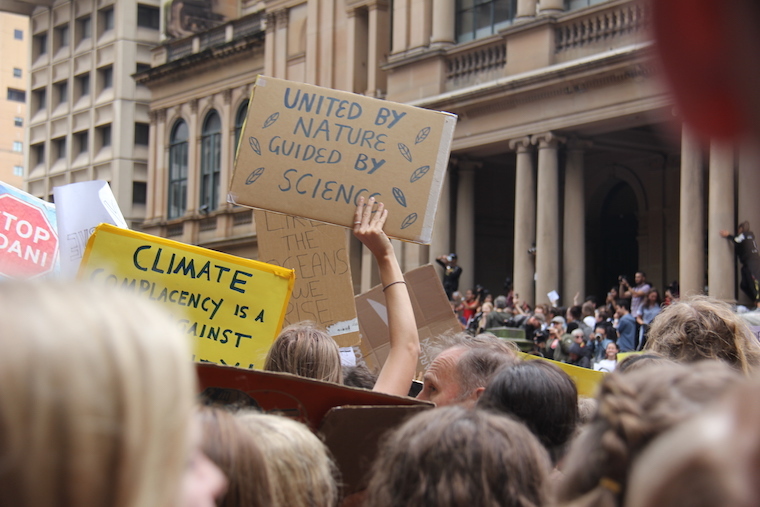 Tens of thousands of students plus some adult supporters (The Fifth Estate included) turned out on Friday, a school day, to protest inaction on climate change. The mood was fierce at Sydney’s protest at Town Hall. These kids are fed up and want change, and so they should. 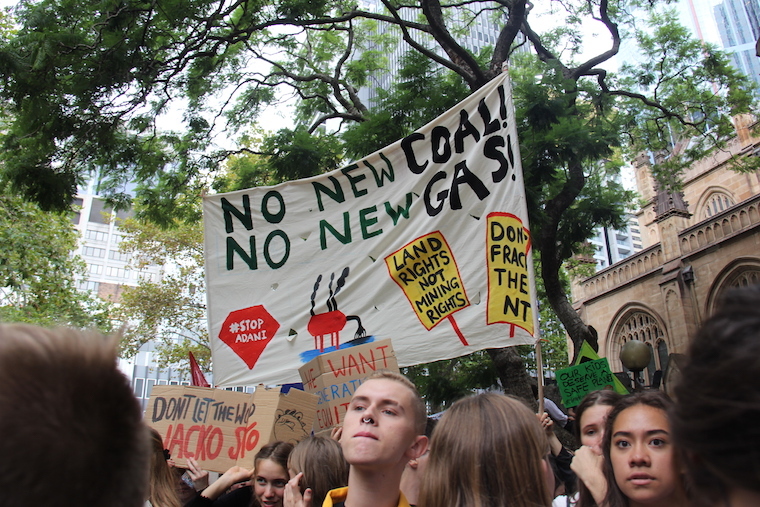 The students are campaigning for the transition to 100 per cent renewables by 2030, stopping the Adani coalmine and all new fossil fuels. But a number of senior government politicians condemned the decision to protest during school hours. New South Wales education minister Rob Stokes surprised many when he told Sky News in the lead up to the rally that it is against the law for students to strike. “These are on school days, school children on school days should be at school,” Mr Stokes said. Interesting that some private schools stood alongside public schools we hear to encourage their students to strike. 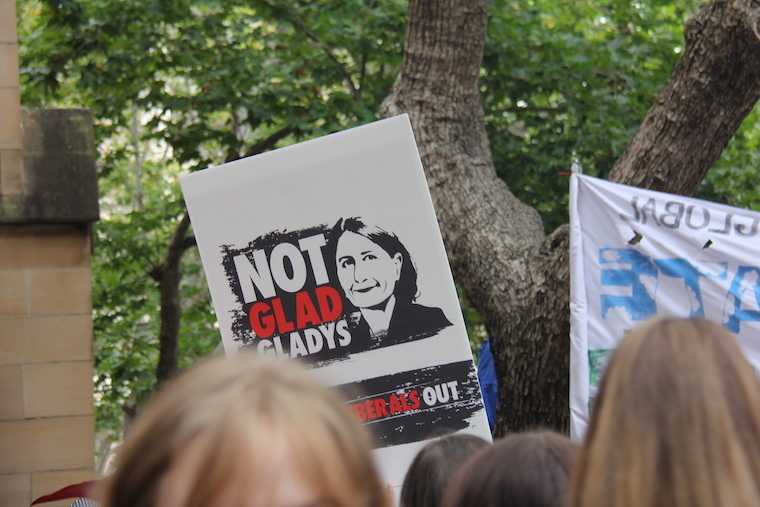 NSW Premier Gladys Berejiklian agreed with Stokes and said a strike during school hours was “grossly irresponsible.” She also criticised opposition leader Michael Daley who told students that we are at a “crossroads” on climate and backed the strikers. “Education is also bigger than the classroom. It is based on life experience. That is, in part, the importance of being confident and passionate enough to form beliefs and being prepared to stand up for them,” Daley said. “They don’t have a microphone or money like the big end of town. But they do have their democratic right to assembly. I support that right to protest especially when it comes to climate change and our fragile environment. 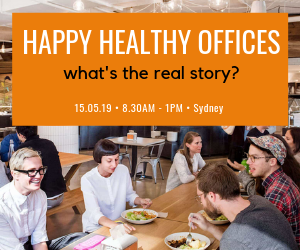 Federal education minister Dan Tehan said the strikes were orchestrated by professional activists and children were missing valuable class time. Conservative businessman Maurice Newman said worse, that the kids were pawns of people trying to bring down the capitalist system. 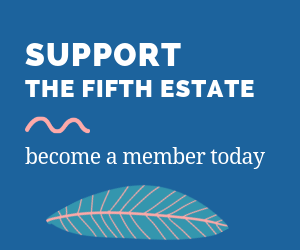 We pointed in last week’s editorial to the dominant message from the most conservative forces on the planet, the banks and financial regulators that say climate change is the biggest threat to the financial system and economy. Finance minister Mathias Cormann warned adult activists not to use children as “pawns”. “They should not be used as pawns by professional adult activists as part of a cynical political strategy,” he told Sky News. Victorian Premier Daniel Andrews said he wouldn’t mind if his three children took part in the protests. Queensland Premier Annastacia Palaszczuk said the strikes should have been on a weekend. South Australian Premier Steven Marshall said striking during school hours was “outrageous”. Western Australian Premier Mark McGowan supported the strike and said it was “good thing” that young people were passionate but would have preferred the strikes were on the weekend. Tasmanian Premier Will Hodgman said he would prefer students to be at school. 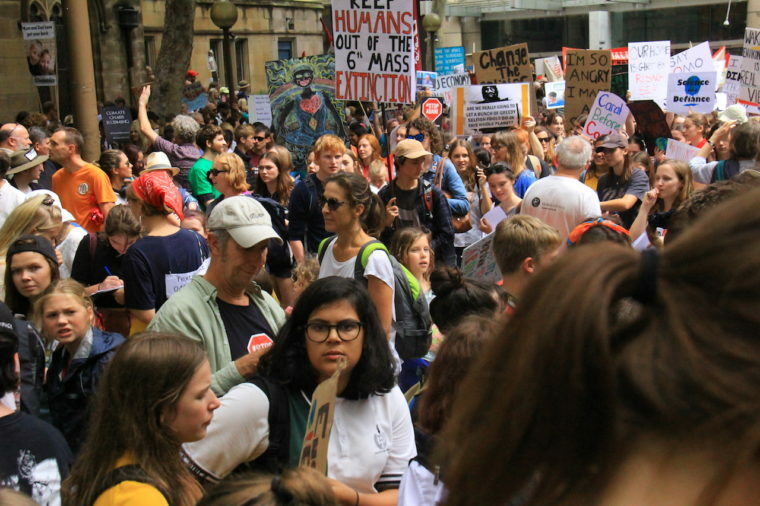 At the time of the last school climate change strike in November 2018, Prime Minister Scott Morrison urged students not to strike and Resources Minister Matt Canavan said that the only thing striking would teach the children was how to collect government benefits. Schools took various approaches to the strike, with some marking children absent for attending the strike whereas others encouraged students to take part. Some schools left it up to parents to decide if children were allowed to go. – Poppy Johnston and Tina Perinotto. If I had still been a student I would have been there with bells on and would have been agitating for my school mates to come as well. Climate change is by far the biggest problem the world has ever faced and I am appalled that there are so many complacent pollies who are sitting back and letting it happen without doing anything about it. It is a shame that it has become a political polarising issue as all parties should see that the need is the stand out priority. I don’t mind if the establishment condemns the strike, because that’s what makes the strike most powerful and poignant as an act of rebellion. If the students striking are taking risk by doing so then that requires more courage and gives their action more potency, significance and moral authority. It is laughable to say that the students are being manipulated by adults – just watch how intelligent, informed and educated they are about the science and its implications in interview after interview – even quite young kids. Science is the quest for the truth that remains true regardless of anyone’s politics, religion or other beliefs. The right wing of politics seem determined to pretend that the science (the truth) is some sort of left wing conspiracy and to remain in total and belligerantly ignorrant denial of climate change and its implications. If education is the ultimate form of indoctrination, then indoctrination in the truth seems to me a good thing to be encouraged. Power on and never give up students – your are inspiring and educationg us all. What is shocking is that we have a whole generation of childish, irresponsible “leaders”, deep in denial about the impacts of the system they are (temporarily) responsible for, failing to exercise any leadership in face of overwhelming scientific evidence, and then having the temerity to criticise others – school kids! – for showing the very leadership capacities that they lack. They disgust me every one of them, while the kids – well, they are our future, and it looks like the future is in good hands. Comments by these faded, jaded, has-been politicians is just more of the same empty rhetoric we have been listening to for the past decade. 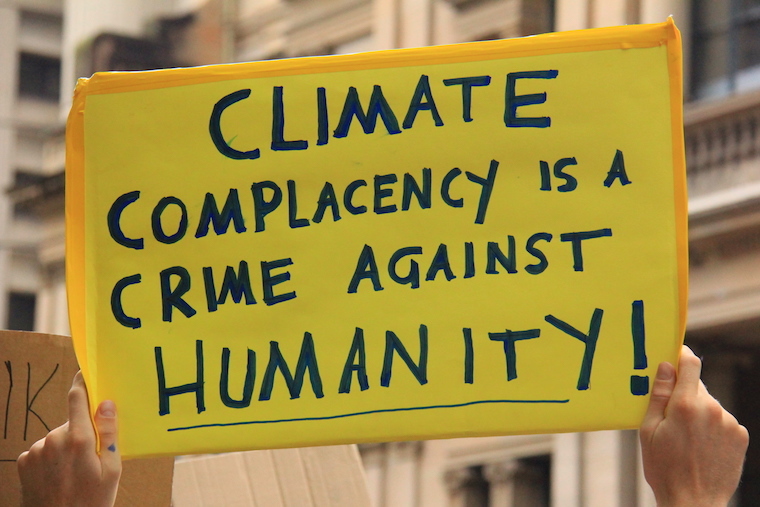 Climate change will not stand still for another decade while the current crop of adults do nothing to turn the tide. 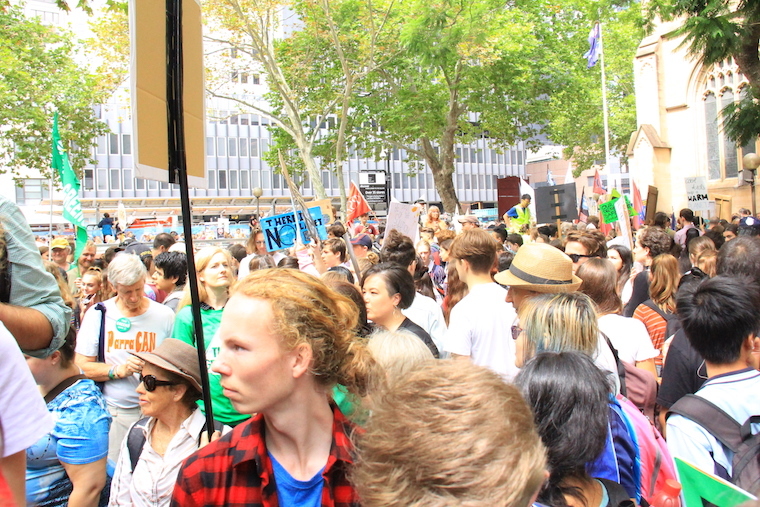 I have 8 grandchildren and am deeply concerned for their future, so I went along to the climate strike in Perth and was so proud to stand side by side with these passionate young people. I cannot convey the deep sense of sadness I felt that the adults controlling the world have such contempt for the future of these young people and are perpetrating such a huge injustice against them for the sake of a quick buck and political point scoring. Compulsory school attendance is to make sure kids not just wagging to mess around, unsupervised and without parents etc or being exploited as child labor and missing out on their right to education. Missing a day for a bright kid is neither here nor there. My mother only knew the alphabet and went to school for the first time in “year 5” back on the 1920s and completed all primary school in 2 years ending top of class. All the information you need is on the net, including lessons. Home education never stops in progressive families etc etc. These conservative politicians have really shown their faded colours.